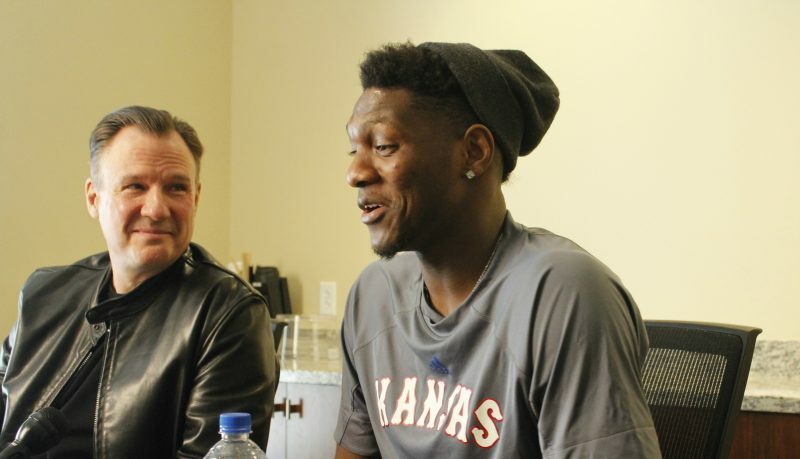 The Jayhawks showed during Wednesday’s 77-68 victory over No. 25 TCU at Allen Fieldhouse that they still can be an effective offensive team and a tough out, even with junior center Udoka Azubuike sidelined for the rest of the season. Now it’s time for the Jayhawks to show they can do it on the road. KU’s two losses this season have come in their only two true road games on the schedule to date. And even though turnovers were not a huge problem throughout most of the loss at Arizona State back on Dec. 22, they were an issue down the stretch, where the Jayhawks let the game get away. 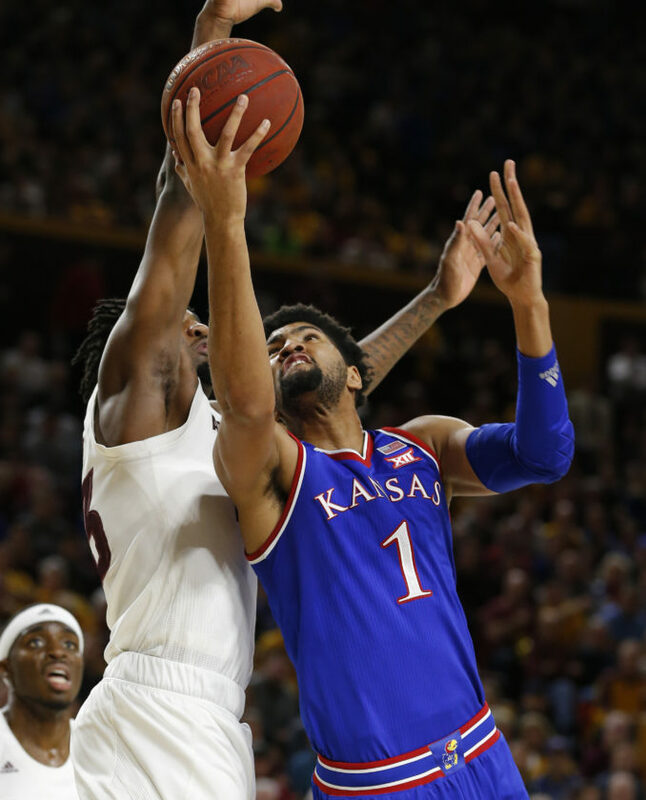 Kansas committed 16 turnovers at ASU and forced just 11, which turned out to be a major factor in a 4-point loss. And then there was the Iowa State debacle, where KU turned it over 24 times in Ames, Iowa, en route to a 17-point drubbing by the Cyclones. The Jayhawks forced the Horned Frogs into 20 turnovers on Wednesday night — on 27 percent of TCU’s possessions — and would do well to take the same defensive approach and intensity into this one. 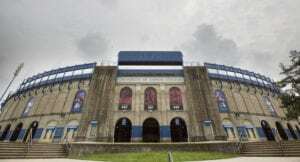 The Bears rank 253rd in the country in turnover rate, giving the ball away on more than 20 percent of their possessions, and KU’s ability to dictate tempo and pace with defensive pressure could help Kansas maintain control of the game, which, in turn, would theoretically allow the Jayhawks to demonstrate more poise, playing from in front instead of behind. 2. Is this the game KU shoots it better from 3-point range? It’s been nearly a month since KU made more than seven 3-pointers in a game and the Jayhawks are averaging fewer than six 3-point makes per night, while shooting 26.1 percent from behind the arc, over their last five contests and making less than one of every four 3-point attempts in the past three games. The strategy here will not be to start jacking up more triples. This team probably will never reach that point. But they will need to knock a few down to both score some points and loosen up that Baylor zone. Kansas ranks 200th nationally in 3-point shooting, at 33.3 percent as a team, and is giving up nearly the exact same percentage to its opponents, 33.2, which ranks 142nd nationally among 3-point defenses. Even if the Jayhawks aren’t red hot from long range in this one, it might not hurt them too much. Baylor’s offense ranks 325th among 353 Division I teams at 29.2 percent from 3-point range. The 7 points, four rebounds and two steals against TCU were nice, but those numbers were only part of the story. It was the energy, athleticism and added defensive intensity on the perimeter that he brought to the floor that made 6-foot-5 freshman Ochai Agbaji the big story from KU’s latest victory. Against TCU, Agbaji finished two lobs, pushed the pace in transition and even knocked in a 3-pointer. Now he has to go out there and do it all again. On the road, where he has absolutely no experience, nor the backing of a friendly home crowd. Regardless of the numbers he puts up, Agbaji figures to get the same type of opportunity he got in his debut. Self played him 25 minutes on Wednesday night, and it’s the freshman guard’s defensive prowess and offensive versatility that make a repeat of that type of playing time — or more — possible in this one. It’s no secret that junior forward Dedric Lawson is going to be asked to carry a huge portion of the load for the Kansas offense while the Jayhawks adjust to life without Azubuike. And in the past two Kansas games we’ve seen both the good and the bad of that reality. Against Iowa State, Lawson was overwhelmed by the Cyclones’ swarming defensive attack and was unable to get much going on the offensive end, at least in terms of anything that resembled flow and rhythm and comfort. Against TCU, Lawson made the simple adjustment of attacking quicker after the catch and his length and ability to score in close in a number of different ways made life tough on the Horned Frogs, whether via points in the paint or by getting to the free-throw line. All eyes will be on Lawson again in this one and it will be very interesting to see how quickly he can get comfortable against that Baylor 1-1-3 zone and against a group of physical Bears forwards who won’t be shy about dishing out contact any time Lawson touches the ball. 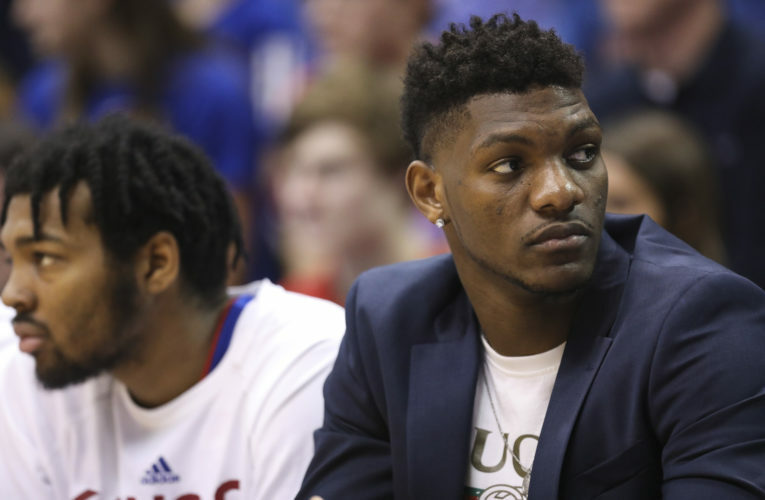 Lawson’s usage rate, which tracks the percentage of KU possessions that end with him taking a shot, currently sits at 29.3 percent and figures to be rising. The last time a Bill Self team had an individual player with a usage rate that high came in 2012, when Thomas Robinson finished the season at 30.1 percent, three years after Sherron Collins finished with the same percentage. Lawson made a pair of 3-pointers (in four attempts) during Wednesday’s win over TCU, which was a welcome sign for a team waiting for the junior to get going from behind the arc. So it’ll be worth watching to see if Lawson tries to keep Baylor’s front line off balance by stepping away from the basket as often as he hunkers down near it. 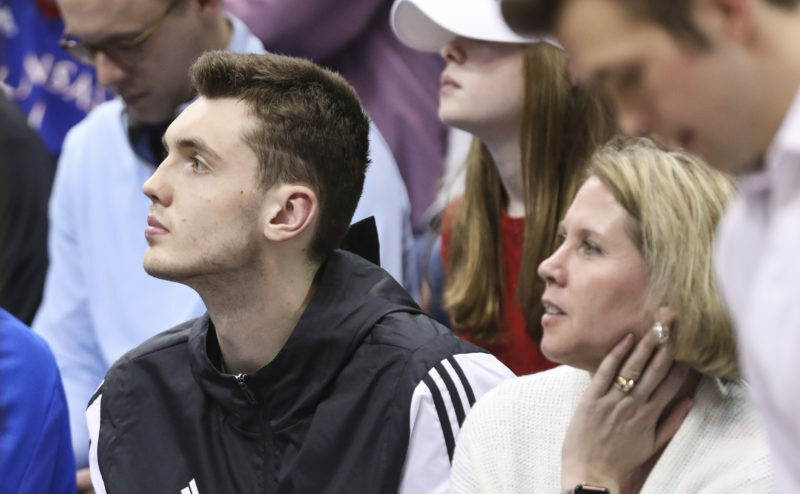 He no doubt will get some time in the high post area against that zone, but with him being KU’s best rebounding and low-post scoring option, the Jayhawks will have to be careful with how much they pull him out of the paint. 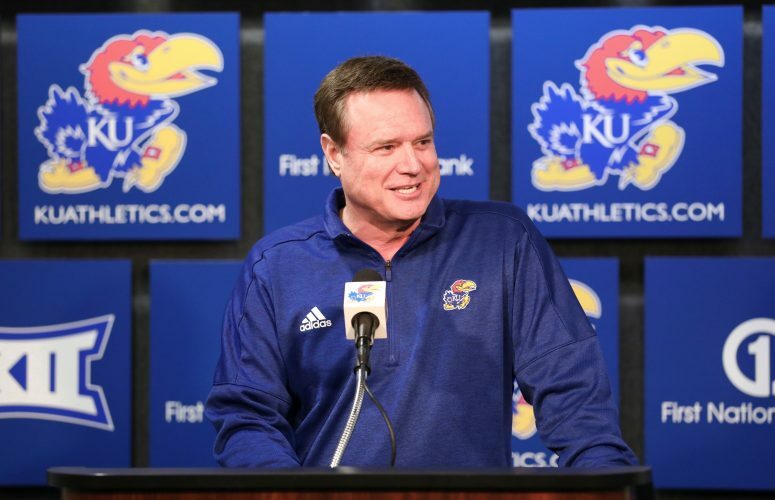 Waco has not always been the kindest environment for the Kansas men’s basketball team, but the Jayhawks have not suffered in the win/loss column as much as one might think. 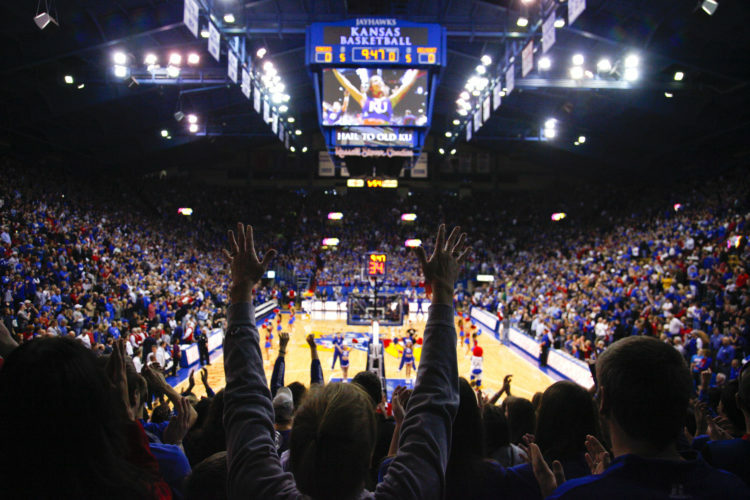 Kansas leads the all-time series with Baylor, 30-5, including an 11-3 mark in Baylor’s home gym. After rocking the Jayhawks by 16 in Waco the last time these two programs met late last season — a win that snapped KU’s 11-game winning streak in the series — the Bears are seeking consecutive victories over the Jayhawks for the first time in school history. What’s more, after their 73-70 win at home against No. 20 Iowa State earlier this week, BU is looking for back-to-back wins over ranked opponents for just the fourth time in program history. Baylor is 5-2 in home games against top 10 foes during the past three seasons, with one of those wins coming at the expense of 10th-ranked KU a season ago. Despite being on the road, Las Vegas lists Kansas as a 3.5-point favorite, but it’s worth noting that this week was the first time all season that KenPom.com’s prediction model for the rest of the season has the Jayhawks finishing second in the Big 12 Conference with a 12-6 record, one game behind Texas Tech at 13-5. G – King McClure, 6-3, 215, Sr.
G – Makai Mason, 6-1, 185, Sr.
G – Mario Kegler, 6-7, 230, Soph. G – Mark Vital, 6-5, 230, Soph. F – Tristan Clark, 6-9, 240, Soph.